My new poetry and prose collection, Southpaw Nights, is out now in paperback and for Kindle via Amazon. Published by James Ward Kirk Fiction. "Given the opportunity to write an introduction to this fantastic collection of poetry and prose, I jumped at the chance. Every once and awhile you will read something that lingers with you – creeps into your sub-consciousness and burrows in deep. 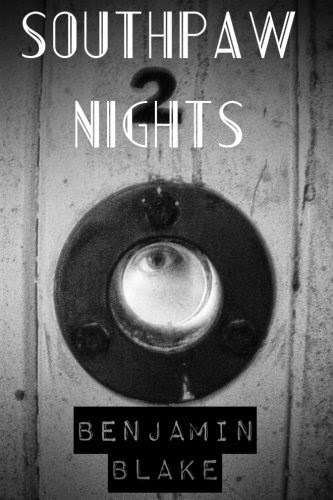 And so it is with Benjamin Blake’s new collection, ‘Southpaw Nights.’ Blake’s words pulse in the limelight, at times surreal and evocative – echoes of Poe and Baudelaire combine with a gothic sensibility, cool and ominous, straight from the backwoods of New Zealand’s dark heart. A sense of malaise and the foreboding supernatural nature of his words, create a fictional world stitched together like a promethean monster. This collection is an eclectic miscellany that is a fine introduction to new readers of Blake’s prose and poetry and a welcome addition to his growing oeuvre. The impressionistic shorter prose pieces are like photographic snapshots of the inner workings of a dark mind. Strong and graphic descriptive passages flow easily, invoking scenes of disquieting horror; as poetic as they are powerful, the words will resonate with the reader long after the last page is turned. The sign of a good poet and storyteller is that their words impact upon the mind of the reader – will make the reader think of things that they would not normally think of, indeed, that they might not necessarily want to think of! Blake has the uncanny ability to confront with his words, not only subtly but also in a proficient manner befitting a writer older than his years. Blake’s collection will take you on a back-road journey to all the dark corners of the globe. Serial Killers, ghosts, misfits, monsters, and specters of all sorts are your guides along the way. Be prepared to traverse some giddy heights and some equally terrifying abyssal lows, as the purgatorial world that sits between is revealed in all its hellish glory. The horror that Blake captures with his words is primarily psychological with supernatural overtones, but the horror he writes about also confronts the mundane of urban existence. In this surreal pop landscape we call modernity, Blake’s work anchors the reader firmly to the page with his grim portrayals of a nightmarish world. Don’t be afraid to read this collection; instead, relish the opportunity to confront your own fears and nightmares by proxy, from the safety and comfort of your favorite reading chair." "Benjamin Blake relishes funereal lyricism with a spice of surrealism."